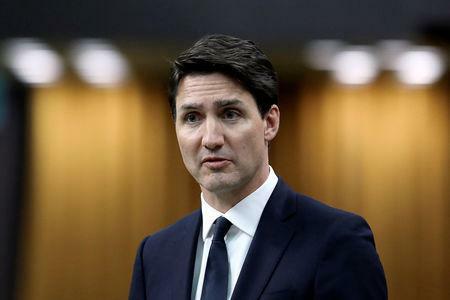 OTTAWA (Reuters) - The head of Canada's federal bureaucracy said on Monday he was quitting over his role in handling a corporate corruption case, dealing another blow to Prime Minister Justin Trudeau as he battles the biggest political crisis of his tenure. Polls suggest that Trudeau's Liberals - who a few months ago looked certain to be re-elected in October - are now at risk of losing power to the official opposition Conservatives. 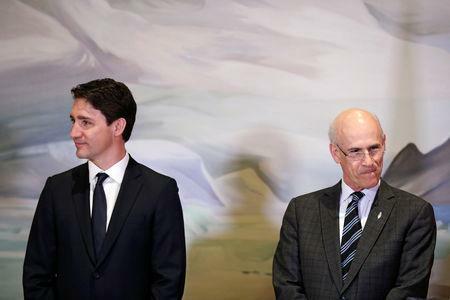 Top civil servant Michael Wernick told Trudeau he would be retiring in the coming weeks because opposition leaders had lost confidence in him over the scandal. Two high-profile women cabinet ministers and Trudeau's closest personal aide had already quit over SNC-Lavalin before Monday's resignation. 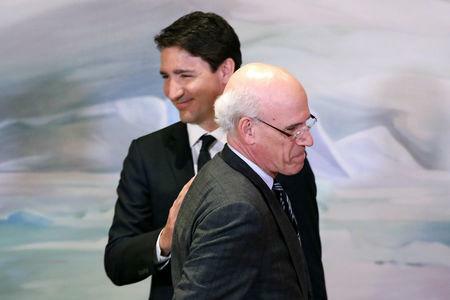 "It is now apparent that there is no path for me to have a relationship of mutual trust and respect with the leaders of the opposition parties," said Wernick, who was appointed by Trudeau in early 2016. Clerks have traditionally had an exceptionally close relationship with prime ministers, and the two tended to talk every day. Wernick's departure leaves Trudeau needing to fill one of the top jobs in Ottawa just months ahead of the election. Conservative leader Andrew Scheer said Wernick had resigned "in disgrace" and repeated his calls for a full public inquiry, an idea that Trudeau has already ruled out. "This is like a five-alarm dumpster fire of political cronyism, incompetence and now obstruction. What is the prime minister so afraid of?" New Democrat legislator Charlie Angus said in the House of Commons. Wilson-Raybould, who was demoted in January, resigned from Trudeau's Cabinet the next month.